Laura Jordan Bambach, chief creative officer at Mr President, is sharing her daily highlights from South by Southwest Interactive. 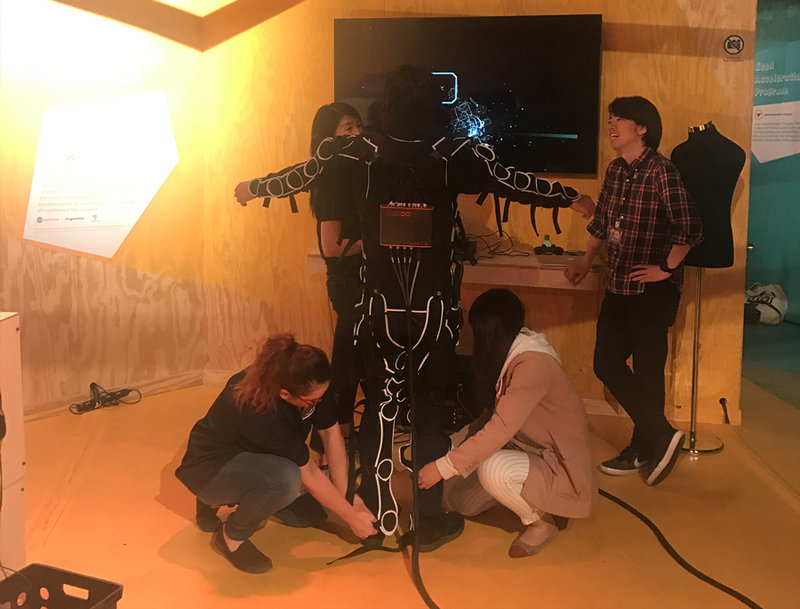 My experience today was very much about VR, and weird and wonderful physical tech from Japan. I caught "Weird Startups from the University of Tokyo", and a phenomenal talk called "This is Your Brain on Stories" from The Moth and a Berkley neuroscientist, looking at storytelling and the brain. And the talk "Virtual Psychedelics: How VR Affects Your Brain" was an eye opener (spoiler alert, it's not necessarily good to do it too often as it can have serious side effects). 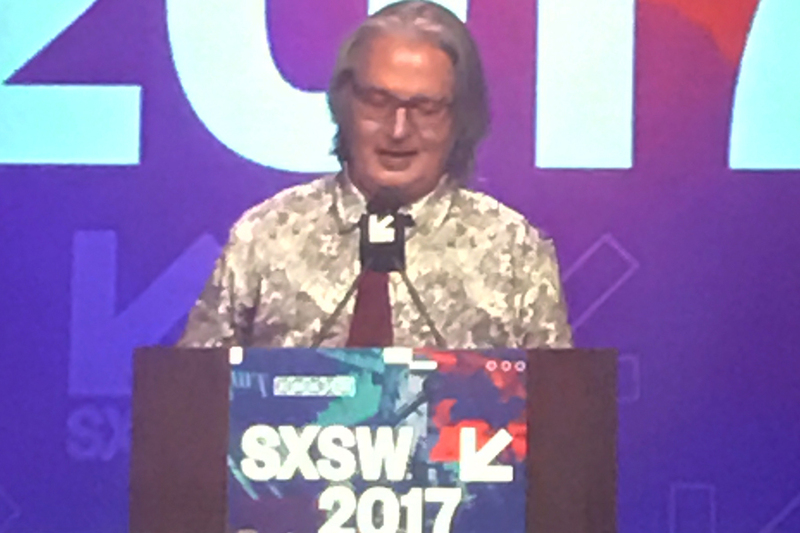 But the best talk by far (possibly of my life) was Bruce Sterling. A writer close to my heart, passionate about tech and working in a genre (SciFi) which means he constantly reimagines the future. He speaks every year, its a tradition, but this one was spectacular. He spoke about using musicians as a canary for societal health ("Whatever happens to musicians happens to everyone else"). He spoke about real revolution and how he doesn’t see anything that feels radical anymore. He was sharp and witty, and had some great one liners: "discussing wearables are more interesting than what wearables have become". 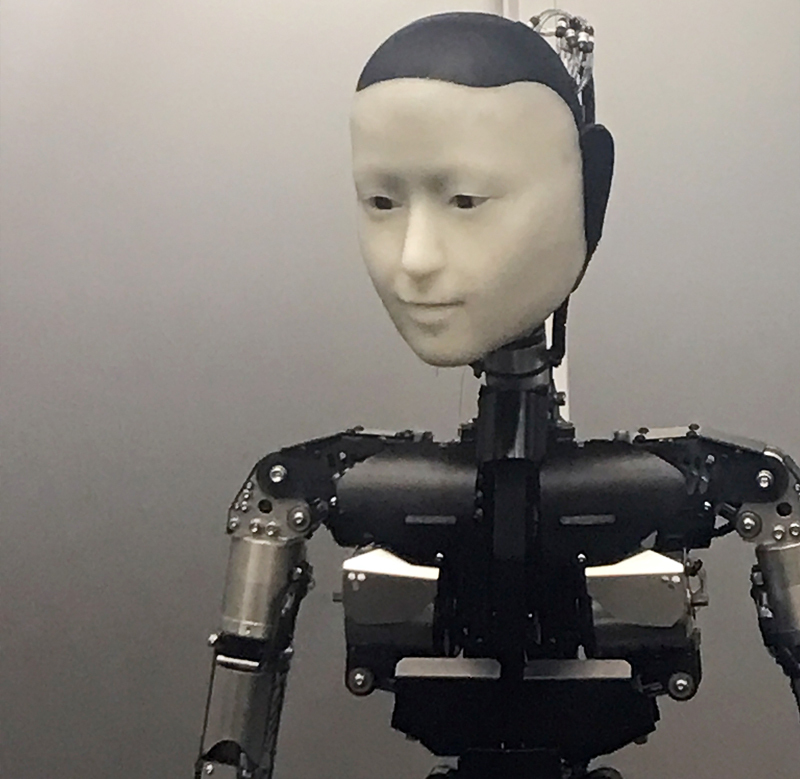 But he saved most of his speech to talk about universal basic income – a hot topic here at SXSW, and one which he admits may be revolutionary after all, but perhaps not in the way we imagine. He went on to explore different scenarios whereby UBI is delivered in some way – from everyone being militarised to giant university-as-cities to old school fascism. A great science fiction writer and speaker has the ability to transform you, to make you think in ways you never imagined about the future, and Bruce certainly did that to us all today. Mazda are always a heavy sponsor of SXSW, with a free car service and interactive stand in the convention centre, but this year they have stepped it up a notch. The Mazda Studio is a two-stage music venue in the middle of town, with probably the best line-up of the week: loads of local talent, and amazing international stars like Girlpool and Sleigh Bells. So worth it! All the artists were mind blowing. It also seems to be the most well run – no queues for pass holders and pleasant door staff. My first proper night out all week (I’ve been focusing on the talks and avoiding the parties as they’re usually so tacky) so Mazda score big tonight. Firstly Sony have also done a brilliant job here this year. The Japan Factory/Sony WOW Factory is a huge space built with curiosity and play in mind, and generously offering free sushi. Sony is showing off a lot of its concept tech – from amazing earphones to bracelets that double as instruments to sophisticated VR that’s a pleasure to watch as well as take part in. Its new screen technology is a spectacle in itself. 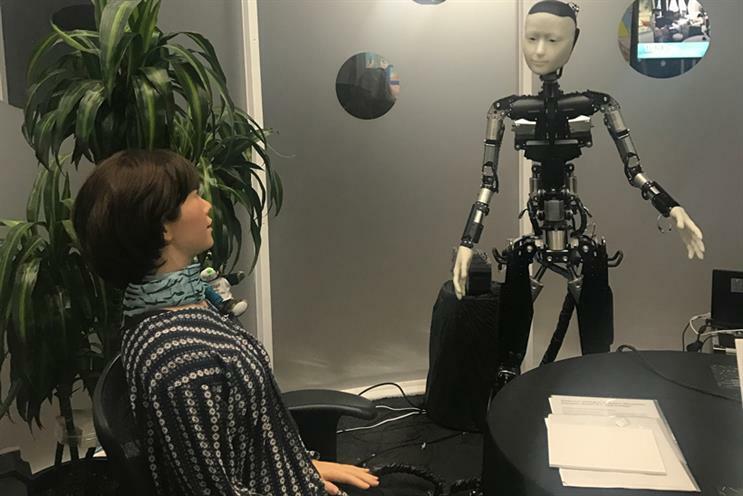 I watched the conversational robots chat about ramen again too, in a more intimate environment. – and it makes a powerful difference to your emmersion. I experienced 10 minutes in the internment caps of the Rohingya in Myanmar, and another 10 in the cell of someone in solitary confinement. Wow. Also incredible in another way was Miyubi by Felix and Paul, one of the bigger VR producers: 40 minutes of live action playing a robot in a 1980s family. My first experience of a featurette in what is going to be a fascinating and growing medium. I’m going back tomorrow to play it again. Last, the Infinity Room by Refik Anadol. Another of the interactive works here. You are in a mirrored box full of moving pins of light – the experience is wild. No swag, but a million new things from Sony I can’t wait to buy if they ever make it past the lab.